The news went viral nearly a month after the killing: a black teenager shot dead at night while wearing a hoodie. Happens all the time, right? Just one of those sad facts of contemporary life in America. Nothing to see here, folks… move on, please… please move on. But America didn’t move on. Trayvon Martin has become world-famous in death, something he never could have foreseen and never would have desired. Better to be alive and obscure and residing in Florida with most of your life ahead of you. Too late now. Trayvon Martin didn’t deserve to be lying mute in an underground box at the age of 17. Nobody does. He committed no offense to warrant such a fate. He was simply returning from the convenience store and chatting with his girlfriend on his cell phone, a scene that could be replicated a million times across America on any given evening. And yet here we are, still trying to grasp the elusive facts in a case that won’t go away. Was neighborhood watch volunteer George Zimmerman out for blood or just taking his job a little too seriously? Was he a racist? Was he unjustly profiling an African American youth who happened to be strolling inside a gated community? Did he shoot Trayvon in cold blood… or, as he claimed, did he act in self-defense? Why didn’t the police in Sanford, Florida, take Zimmerman into custody so the facts could be determined in court? Were they racists? If George Zimmerman had been black and Trayvon Martin white, wouldn’t the police have made an arrest? Where do you draw the line between “standing your ground” and murder? For most of the black community and the left-of-center crowd, it’s an open-and-shut case of a light-skinned racist murdering an innocent African American kid for the crime of “walking while black.” The fact that Trayvon was wearing a hoodie has catapulted that essential item of hip-hop apparel to unprecedented glory as a political symbol of unjustly maligned black youth. By now, every Trayvon Martin sympathizer and his brother has been photographed wearing a hoodie. The anger over Trayvon’s shooting (and Zimmerman’s freedom) rippled across the continent. The Revs. Jesse Jackson and Al Sharpton showed up to make racial politics, of course, as did thousands of ordinary demonstrators of all colors. In the streets, on Twitter and throughout the blogosphere, irate blacks and white liberals blasted the Florida (read “white”) justice system that allows light-skinned perpetrators to get away with murdering black children by virtue of some tenuous “stand your ground” principle. I understand their anger, but (and you knew there had to be a “but”) I detected a fair amount of selective outrage, too. It’s always a little too easy to blame Whitey. The fact that well over 90 percent of black murder victims nationwide are murdered by blacks never entered the picture. Neither did the cold statistic that whites are 39 times more likely to be the targets of violent crimes by blacks than blacks are by whites. (I suspect that this statistic conveniently omits the number of blacks shot dead on the street by police, but it’s still an eye-opener.) For the embittered African American community, the killing of Trayvon Martin reopened the ill-healed wounds of the Jim Crow era, with its sickening memories of lynchings and rampant bigotry. In fact, some news sources went out of their way to describe Zimmerman as a “white” Hispanic. No… Ricardo Montalban and Desi Arnaz were white Hispanics; George Zimmerman is multi-racial. In fact, it’s said that he has black relatives. But why muddy the story when you can find an angle that maximizes racial polarization? I have to wonder if those two photos were joined in a deliberate attempt to reinforce the already ferocious public bias against Zimmerman. If so, it was a pretty low trick… especially when we still don’t have a coherent picture of what happened on that fateful night in Florida. Here’s all we know for certain about the killing of Trayvon Martin: Zimmerman noticed the black teen wearing a hoodie, tailed him as a suspicious character within the confines of the gated community, stepped out of his car to challenge him (despite instructions from police to keep on moving), exchanged words with Martin and ended up on the ground. Someone moaned for help around the moment that the gun went off, and Martin died on the spot. Zimmerman, the cop wannabe, was at best overreacting to an imagined threat in the manner of Barney Fife, the comically neurotic deputy on the classic Andy Griffith Show. He had been rejected by the local police department. He had been known to call 911 in response to seeing an open garage door in his community. He’s a bit of a control freak and probably needs counseling. At worst, Zimmerman is a sociopath with an urge to kill and a perverse need to exercise that urge. Barney Fife would never have plugged a teenage kid. But we really don’t know what was going on in Zimmerman’s head… or in his scuffle with Trayvon Martin. The man hasn’t had his day in court. A friend of Zimmerman’s named Joe Oliver (a black friend, no less) has attested to the vigilante’s kind nature and utter lack of racism. Of course, some on the left have gone as far as to suggest that Oliver hardly knows Zimmerman and was paid to praise the accused killer. As ever, the truth is elusive. Bottom line: I think Zimmerman should be taken into custody and given a fair trial. Let a jury weigh the evidence and decide if he acted in self-defense. Around the same time that Joe Oliver put in a good word for his friend, we started learning more about Trayvon Martin: his three suspensions from school, the badass Twitter messages (now deleted) and gangsta-style photo with middle fingers upraised. None of this justifies his premature death, but now we have to look at a kid who not only dressed like a bad stereotype but may have acted the part as well. With all these question marks swirling in the air, it was premature for the nation to rush to judgment in tagging Zimmerman as a cold-blooded racist murderer. The contrasting photos of cute Trayvon and nasty George undoubtedly contributed to the call for vengeance. But what if the mainstream media had published this photo of Zimmerman instead? 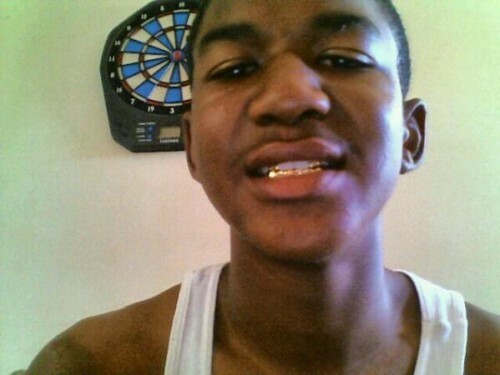 And what if they had disseminated this photo of an older, edgier Trayvon Martin? Whether Zimmerman’s photos make him look like a sociopathic loser or a nice guy should be immaterial to the case. Ditto for the angelic young Trayvon vs. the funky older Trayvon. There are photographs of Lincoln in which he looks seedy and disheveled, just as there are photographs of an affable-looking Stalin. Photographs can be indispensable clues, but our biases, conscious or not, have a way of tampering with the evidence. The ideal pictorial approach to the Trayvon Martin case would have been to show both sets of photos, because the case is that complicated. That’s exactly what I’ve done here. Neither man was all saint or all villain, and it’s instructive to see both sides of their natures with our own eyes. The impact might have been even more powerful if the photos had been black and white. Not only for the racial implications, but because even black-and-white photos aren’t simply black and white. They have a way of teasing our eyes with all those ambiguous shades of gray. Hi – quite a balanced article but I found your stat that whites are 37 times more likely to be killed by blacks than vice versa a little startling – could you provide a reference? I normally wouldn’t trust those two sources, except that they both claimed to draw their stats from the Department of Justice reports on crime. I expected to see that there was more black on white crime than vice versa, but the extent to which it was skewed really startled me. Of course, right-wingers would use those stats to create paranoia about a “black menace” — but overall we have to remember that most violent crime is contained within one’s race: most whites are still victimized by whites, not blacks. And of course most blacks are victimized by blacks, not whites — that was the point of my using the stats in this article. Hmmm – the yahoo answers cited a source http://www.white-history.com, no claims to DOJ. ■8.9 percent were groups made up of individuals of various races (multiple races, group). ■1.1 percent were Asian/Pacific Islander. ■1.0 percent were American Indian/Alaskan Native. ■12.0 percent were of unknown race. Marty: “Hate crimes” are generally perpetrated by white Christians upon unwelcome minorities, so the statistics you quote don’t surprise me. I don’t think most muggings, rapes or murders of whites by blacks are classified as hate crimes. The statistics I used were for all violent crime, not just hate crimes. That said, I did notice that wherever I saw the 39-to-1 statistic used online, the reference was to “The Color of Crime,” which seems to be an incendiary right-wing treatment of race and crime. They’re not necessarily wrong — this is the sort of politically incorrect information that the mainstream media would try to keep under wraps. But when I consider the source, I have to take the stats with a grain of salt. Wish I could get to the bottom of it. Your statistic results in a White person being a bit more than twice as likely to be the victim of a Black person as the converse. Regardless, the statistics you cite show that black on white violence is rare and white on black violence very rare. You separate statistics on Hate Crimes are misleading. First the concept of a hate crime is itself ludicrous. Hate is a motive, not a crime. It is an act that is criminal not a though or world view. Second, once you fixate on a motive you have politicised everything to the point the statistics are meaningless. If a Black person holds up a white person – because white people have money and he does not and he should be entitled to their money – is that a crime motivated by race ? Hate ? Regardless, in our prejudice we presume White on Black Crime MUST be motivated by hate, and black on white crime must be driven by more “normal” criminal motives. Good points, Dave. Society tends to brand white-on-black crime as hate crimes while black-on-white crime is seen as economically motivated. Of course, it makes sense that blacks would rob whites, because that’s where the money is… and for that reason, you won’t see many whites robbing blacks. But the distinction between hate crimes and ordinary crimes can be pretty nebulous. When whites drag a black man behind a pickup truck for several miles, that’s clearly classified as a hate crime. But how about black gang members mugging a Jewish kid in Brooklyn? Is it a hate crime or just economically driven? I’m inclined to believe that a crime is a crime is a crime. The white guys who dragged the black man behind a pickup are racists of the worst sort, but the crime is still murder. Just an FYI, but the picture with the middle finger salutes has been proven to not be of Martin. Hopefully the word will get out. But, really, what of that picture anyway? Or the Twitter messages? Or the weed suspension? None of these have anything to do with the incident that resulted in Martin’s death. It’s simple: if Zimmerman and Oliver are telling the truth, then this was a tragic ending to a dust-up between an over-zealous neighborhood watcher and a dumb kid who fancied himself a gangsta. If they are not telling the truth, we could be looking at something much worse. And I agree that Zimmerman should get his day in court. Ironically, it might just save his life. Rob: Yeah, that middle-finger photo looked pretty washed out; it could have been anybody. And I agree: the photos themselves don’t mean much in the context of the killing; we can find photos in which both guys look good and not-so-good. it’s the way the photos have been selected and used to manipulate the public’s response that intrigued me. Liberal America has been swayed by the good Trayvon/bad George photo combo, and right wingers have glommed onto the Trayvon-as-gangsta photos. So even the photographic evidence reflects our polarization. You’re absolutely right that Zimmerman would probably be safer if he went through the legal process… though if he gets exonerated we’d probably see the same kind of riots that we did after the Rodney King/LA cops verdict. The Photos are not evidence. Zimmerman has been through the legal process and apparently will go through it again (and again). Taking someone in, arresting them, charging them and trying them are things we do to people where we have atleast a preponderance of evidence are guilty of something. We are not supposed to arrest charge and try people because we are suspicious, because of community pressure or because Jesse Jackson and Al Sharpton are in town. I will be perfectly happy to convict Zimmerman of something – given credible evidence. Thus far we do not have any. We had a somewhat similar case in my town recently. Two black thugs confronted each other on the street, and one was shot. The surviving thug claimed that the gun belonged to the dead thug and that when accosted he managed to take it away and shoot the other in self-defense. 5 years ago the surviving thug would have easily been convicted and spent the rest of his life in prison. But Lancaster, PA has the most public cameras per capita of any place on earth and this incident was caught on video – and occurred exactly as described. It is not important who has the better PR team. It is not important who photographs better. The prior background of either party is only important with respect to their credibility with respect to evidence we can not establish independently. Mr. Zimmerman could be a member of the Arayan Brotherhood and Mr. Williams could be Mother Theresa. If the events occured as Zimmerman described on the scene, subsequently and what witnesses their are have confirmed, then there is a tragedy, but no crime. Not mentioned in your post but relevant to the discussion are laws, like Florida’s “Stand Your Ground,” which, while not attended to support vigilantism, are apparently being used to protect vigilantes if the statistics are to be believed. George would have been taken in to custody in the normal manner if not for this law. The police could then have examined the facts and determined if charges were warranted. This law deserves a lot of credit for the mess we are in. Stand Your Ground has little bearing on this. Mr. Zimmerman’s claimed version of events would have justified this prior to “Stand Your Ground”. The justification for an investigation is unchanged. The circumstances allowing the police to take Zimmerman into custody are unchanged – only the consequences if they are wrong. Unless you beleive that Zimmerman would not have asked for a lawyer, and that the cops would have beat the truth out of Zimmerman, I am not sure what you think would have changed ? The police are still entitled to question Zimmerman. Zimmerman is and was entitled to the presence of a Lawyer. Zimmerman provided his version of events to the Police at the scene and apparently subsequently, and it has been consistent. If Zimmerman is to be charged, it is necessary to find credible evidence for a different version of events – and that is not going to come from Zimmerman. There may be problems with the “Stand Your Ground” law, but it has little bearing on this instance. If anything “Stand Your Ground” would have exonerated Zimmerman under far more ambiguous circumstances than these. I did touch briefly on the “Stand Your Ground” law, but we probably need to look at it more closely. Its biggest flaw is that the shooter isn’t going to give an objective account of the incident. The cops shouldn’t be taking Zimmerman’s testimony at face value; after all, the victim can’t give his side of the story. We need to hear from all the eye(and ear)witnesses. For this reason, I think the police should have held Zimmerman in custody until all the evidence could be heard. So much “spin” to so much of the “news”. Many of us, when we were naive youngsters, had the idea that the news was a public service to keep us informed! Isn’t that funny? Of course commercial news outlets are businesses with paying advertising customers and it is good business to steer viewers away from “Wheel of Fortune” and “American Idol” by adding fuel to a fire. Of everything I have read on this your response has been the most reasonable. I would commend you for not getting sucked up in the misleading racial issues. It is true that we are far less race conscious than whne I was a child – and that we still have far to go. At the same time race is mostly tangential to this particular incident. Both parties were minorities. Zimmerman may not be black but his is not getting invited into the Aryan Brotherhood either. This is not a case of white on black but one minority confronting another. To the extent there is a racial issue at all, the only question is what is level of suspicion and inquistiveness does the presence of a black teen in a predominately white gated community justify ? It is unlikely that zimmerman would have followed Williams had he been white and wearing a St. John’s blazer. This debate is still enormously muddy. Pictures are irrelevant. If Williams looked like demon seed and Zimmerman like an angel that would not alter anything relevant. We are still very short on facts – some of which we may never know, but many things can be confirmed. Personally, I find the publicity of this cases ludicrous. Radley Balko’s blog http://theagitator.com regularly covers stories similar to these though normally involving actual police rather than wannabees that are far more agreggious. There is also an RSS feed of cops behaving badly that produces several stories a day. This instant is far less egregious than most of those. Williams death is tragic. Certainly we all wish it had not happened. Death is not supposed to be the outcome of walking outside your neighborhood. But this is not about whether Williams is free to be “walking while black”. Nor is it about vigilantism or following the sugestions of the “real police”. The most critical questions are who initiated the physical confrontation, and whether the shooting occured with Williams on top of Zimmerman. As best as I can tell from the information available, Williams appears to have initiated the physical confrontation, and was shot while on top with Zimmerman’s back against the road. This is Zimmermans story, It is what he told the police on the scene, and there are atleast 3 eyewitness accounts that corroborate atleast parts of it. Further the description of Zimmerman at the scene is that he had a broken nose, bruases ont he back of his head (he alleges that Williams was slaming his head into the road) and bleading about the ears. Presuming those facts are correct, it would not matter if Williams was a seminarian preparing to head to Darfur, and Zimmerman was a member of the KKK. Though some of the additional purported facts warant inquiry. Zimmerman was purportedly directed by the police not to follow Williams. I suspect he wishes he had followed that advice. But contrary to assertions elsewhere, that is only advice. We do not live in a police state. While there are circumstnaces where we must do as directed by cometent authorities, this was not one of those. It has been claimed in some places that this occured inside a gated community. In that instance one or both parties were tresspassing. How is this distinguishable from the Getz incident decades ago ? Williams does not appear to be a known criminal. Zimmerman had the right to carry a weapon while Getz did not. There is less doubt that Williams initiated the violence. Much has also been made of Zimmerman’s “Community policing” as vigilantism. i would note that if Zimmerman had been a real police officer this would be over. The officer involved would have been exonerated long ago, and would have had zero possibility of criminal consequences for their actions. I see the community policing issue as a positive rather than a negative. Whether volunteer or paid, as can be seen here, the possibility of holding law enforcers outside the police accountable is far greater than that of the official police. i would personally rather see our official police reduced, and replaced by an army of Zimmerman’s that we can hold accountable. There is nothing that distinguishes Zimmerman’s behavior in this incident from that of a law enforcement officer. The other issue that is raised is Florida’s “Stand Your Ground” law. I can not see how that applies here. “Stand Your Ground” has nothing to do with whether Zimmerman was allowed to carry a gun. “Stand Your Ground” eliminated the requirement that in a conflict a citizen not acting in defense of others must back away if possible. Absent new facts “Stand Your Ground” would not apply here. The prior state of the law would not have preculded Zimmerman’s community policing, nor his suspicion and “stalking” of Williams. It would have required Zimmerman to back away if possible in a violent confrontation prior to using deadly force. I have as yet to here any story other than that Williams was short while ontop of Zimmerman with Zimmerman’s back against the ground. I am not sure there is a place in the world where it is illegal to kill someone under those conditions. Sorry, I have repeatedly refered to Treyvon Martin as “Williams” above. Asmith I think you got this one right to the core. It is about the nature of, and the facts of, the confrontation. It should not be about race. The race card should be removed from the deck like the jokers–hardly used for anything. I don’t have too much of a comment on this case. I typically like to wait and see what comes out of the investigations, police reports, etc. before making any kind of assumptions. I do think that we should always assess ourselves to remove any racial bias that may exist. I don’t have a problem with the questioning of racial motives, as that should be questioned. I do have a problem with so many making the assumption that there is a racial motive. I think companies, people, police services, government agencies, etc. should regularly audit their own actions and results to look for hidden bias, as we have a problem as humans recognizing our own bias. I would like to see other more open minded individuals other than Jesse Jackson and Al Sharpton on scene gathering so much attention. Anyway, long post to say that I think that the facts of the Martin case are sufficiently in dispute – even the “racial” facts, such as whether Zimmerman himself is a minority or a white man – that there should be no rush to judgment on any aspect of this case, other than to acknowledge that a young boy is tragically gone too soon. I’ve been somewhat encouraged that there seems to be some serious and sustained pushback against the race-baiters and media inciters in the Martin case. Certainly, no one here at TNM seems ready, as Spike Lee was, to have Zimmerman lynched. Maybe the public is finally wising up. I think you’re right that Ravi was essentially convicted before he even set foot in court; the public demanded atonement for Tyler Clementi’s tragic death. If Clementi hadn’t committed suicide but had lived and pressed charges, the verdict might have been different. And yet Ravi’s actions would have been the same either way. Media publicity can create some powerful prejudices. Of course I still think Zimmerman has a lot to answer for, and he should definitely stand trial for manslaughter at least. But he should be tried by the judicial system and not public opinion. I have no idea how this will play out. Politics have become more important than facts – but even the politics are dangerous. Different interest groups have adopted Zimmerman and Martin as causes – regardless of facts. Thus far I have not seen the Hispanic community weigh in. If there is a perception among the Latino community that Zimmerman is being sacrificed for political ends, this could have an impact on the election. But ultimately what matters is what Zimmerman and Martin did. Finding out the real facts matters. Zimmerman’s “stalking” of Martin is not a crime. But depending on the circumstances it can be perceived as either civic responsibility or racist snooping. In different places it has been said that Martin was killed a few doors from his fathers home, or inside of a gated community far from anywhere he belonged. Despite the hype over the “Stand Your Ground” law, it appears that it would only apply to Martin, not Zimmerman. Zimmerman is claiming pure self defense. Based on what we have from several sources, Martin initiated the physical confrontation. It is Martin’s actions that require a preemptive justification such as “Stand Your Ground”. Ultimately, it is entirely possible that this is just a tragedy. 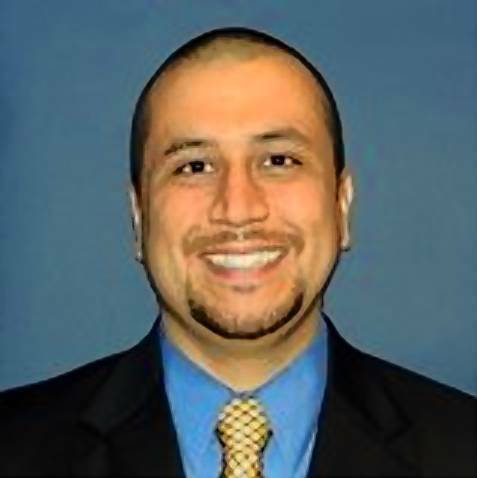 Regardless of whether Zimmerman was a civic minded citizen protecting his community, or a Hispanic Racist intent on keeping blacks out of his community – regardless of whether his actions that precipitated this were justified or not – or more likely somewhere in between, it was not reasonable for him to expect to have to kill or be killed. Even if Martin was a troubled kid trespassing where he did not belong, he should not have had to pay for that with his life. Hooray for people not rushing to judgment! I’m out here too! I scan TNM just about every time I’m online. People don’t seem to be at extremes on this story: We don’t like to see a young person cut down. We want to be able to defend ourselves. We don’t want overzealous vigilantes (sp?) and we don’t want troublesome punks. We are waiiting for the facts to come out? Maybe they did come out? I haven’t been following the latest developments. How much have we discussed the clothing thing? Young people who don’t have two nickels to rub together who dress “gansta” are so stupid, so masochistic. A “hoodie” by itself is not a big deal, but along with the rest of the gangsta get-up it’s a self-damaging protest flag, like Palestinians throwing rocks. It unecessarily invites prejudice. There are so many options for casual clothing and for not being conformist. The full gangsta get-up is like a uniform. When I used to teach a construction and “life skills” program for “disenfranchised” and “disadvantaged” youth and adults I would address the clothing issues. Do you want to fly the flag of the “hood,” or do you want to get a job??? I have argued vigorously for freedom here and still do. Each of us has the right to dress as we please, to send whatever messages we wish out ourselves our values and our beliefs. We are also free to make and act on judgments of others based on whatever reasons rational or otherwise may drive us – including choosing not to hire, or to avoid young black youths in full gangsta regalia. I have made numerous choices in my own life to my personal economic detriment. A few I regret, but most are informed choices made with an understanding of the consequences. Martin’s attire and Zimmerman’s gun are both the same. They were both free choices. They both carried a message. When you project an image that you are dangerous and to be feared, you should expect that people will see you as dangerous and fear you. Carrying a weapon is no different. 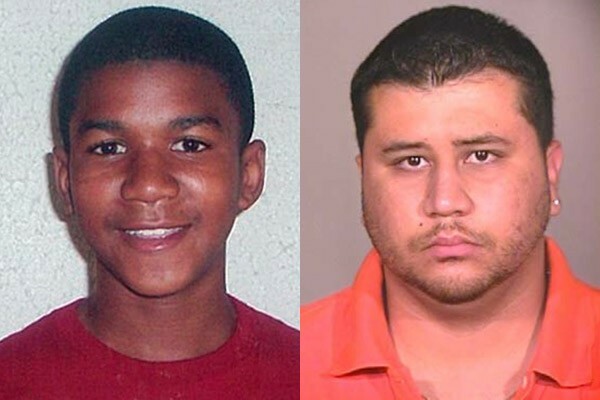 Both Zimmerman and Martin made their choices freely – and should be allowed to. But those choices carried risks. In this instance those risks played out tragically. Both bear responsibility. Martin’s responsibility was paid with his life – Projecting an image should not result in ones death – but on rare occasions it does. Zimmerman may end up being prosecuted. He may well have acted entirely in self defense and still end up prosecuted, convicted, and incarerated. There are certainly political powers that could care less if Zimmerman acted in self defense – he must be guilty of something because Martin was black, and as black male teens go relatively innocuous possibly even the hope of his community. It is also possible that Zimmerman went looking for trouble and got it. Whether there are judicial consequences or not, Zimmerman killed someone. Whatever the justification, it appears clear Martin was not the person Zimmerman perceived him to be – even if he did an excellent job of appear that way on that day. It is difficult to accept that in the real world bad things sometimes happen. When a Cat 5 Hurricane makes landfall at a city of 3million that is 30 feet below sea level – a once a century occurring, someone must be at fault, local, state federal government, The hurricane should not have struck we should have been better prepared, …..
Government is inherently bad at this – as evidenced by the fact that it spent all the money it collected from the oil companies for disaster preparedness on things having nothing to do with preventing or recovering from disaster. Even so, bad things are going to happen. For much of human existence nearly all our effort has been directed at merely staying alive until tomorrow – and we were not so good at that. It is only withing the past quarter millenia that much of mankind has had time and effort to direct beyond subsistence. It has become easier to presume that that not only is life a right, but food, shelter, even healthcare are rights rather than things we must work to acquire. It is bad enough that nature may occaisonally spit in our eyes. But it is a tiny bit easier to understand that bad things will occasionally occur from causes outside our control. Harder to grasp is that bad things will occasionally occur as a result of human choices and actions. It is probable that both Zimmerman and Martin made mistakes. One may be more culpable than the other, but it is unlikely that either made a mistake that we see as sufficiently egregious that someone should have died. We find it hard to accept that sometimes a series of small mistakes can result in catastrophic consequences. We cry Zimmerman must have been a nutcase vigilante racist – rather than someone who just wanted his neighborhood to be safe. Martin must have been an out of control teen Gang Banger, hopped up on drugs, not a block kid angry at being singled out one last time. Or it must be the law – either we have too few laws, and we need a new Adam Walsh law, Megan’s law, ….. or we have too many laws – it is all the fault of Stand Your Ground. I have been flogged here as lacking empathy not feeling for those that will suffer absent some warm and fuzzy sounding legislation to aide some group in need. I will be happy to admit that in a truly free world, occasionally bad things will happen.The will be Katrina’s. There will be horrible and in hind sight preventable accidents. There will be homeless, disabled, poor, prejudice, all manner of bad things. Most will be accidental, a few will be deliberate and malicious. What most everyone else does not grasp is that government intervention does not change that. It may alter the specifics of who the winners and losers are – and not in a particularly good way. With or without government intervention there will be random bad things as a result of the unpredictability and power of nature man is an incredible being, but still puny on a global much less cosmic scale. With or without government there will still be preventable accidents, prejudice, mis-perceptions – and even evil. One of the most disturbing facets of the Martin Zimmerman case is that there are soo many far more egrious incidents that the media ignores everyday. Just one example – white officiers shoot black teen in front of his parents for driving while black. Balko is a Huffington Post senior investigative reporter. Provides a DAILY feed of police behaving badly stories. If Zimmerman is the worst face of vigilantism – I will happily take that over the daily bad acts of “real” police. And an interesting veiwpoint on this from the fringes of libertarianism.